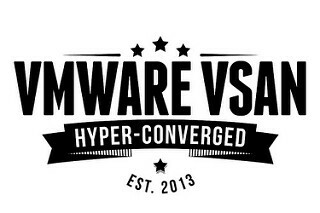 On Nov 14th VMware released the two new updates for vCenter Server 6.5. Both Updates fixes an error, where an upgrade, install or migrate of VMware vCenter Server Appliance might fail, because of an expired root password. My homelab vcenter runs the update without any problems. With the release of vSAN 6.6 the feature to silence vSAN Health Checks was added. Very cool for all the homelab users, where the hardware is not really 100% on the compatibility list. With the integration of VMware vSphere Update Manager (VUM) to vSAN 6.6.1 a new check was integrated. This check gives recommendations to updates for your software based on the underlying hardware configuration, the VMware Compatibility Gude and the vSAN Release Catalog. It also includes all necessary drivers and patches for the recommended release in its own vSAN system baseline. In my homelab this new check gave me an alert and I want to disable it. 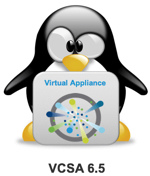 On July 15th VMware released the update for vCenter Server 6.5. The vCenter Server Appliance and the vCenter Server on Windows gets elevated to version “e” Build 5705665. In my homelab appliance the update runs quickly and without failures. I’ve made a little step by step guide for the update. Ich beschäftige mich beruflich nun seit vielen Jahren mit Virtualisierung und haben mittlerweile eingie Umgebungen mit aufgebaut und betreut. Ich habe meine gesamte Hardware bei Amazon bestellt, weil ich mir ggf. Rücksendmöglichkeiten offen halten wollte und ich hier alle Artikel ohne Versandkosten bekam, was meist einges an EURO kostet.